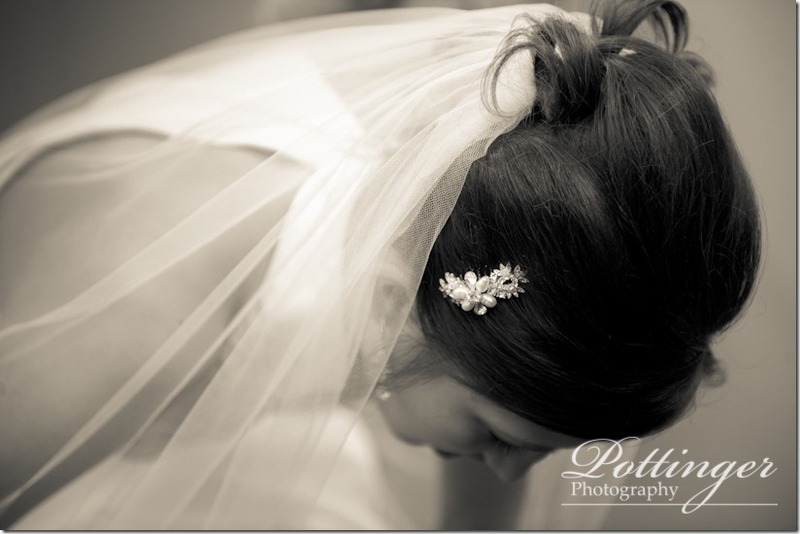 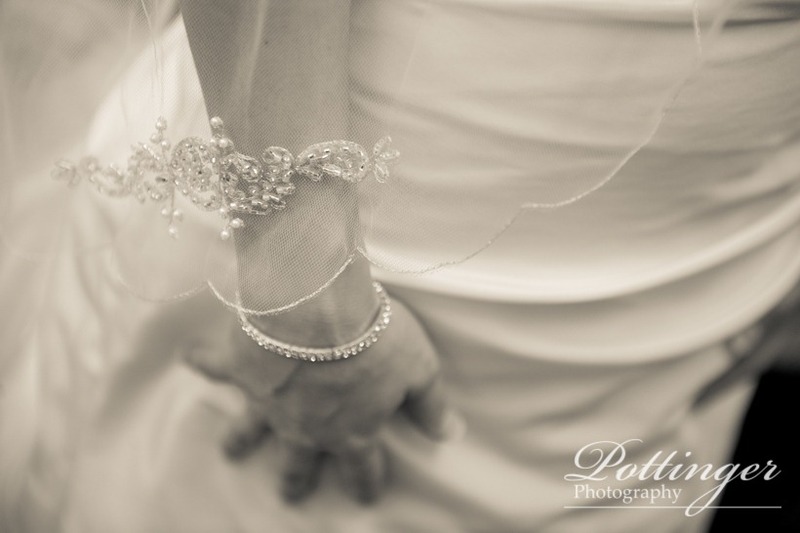 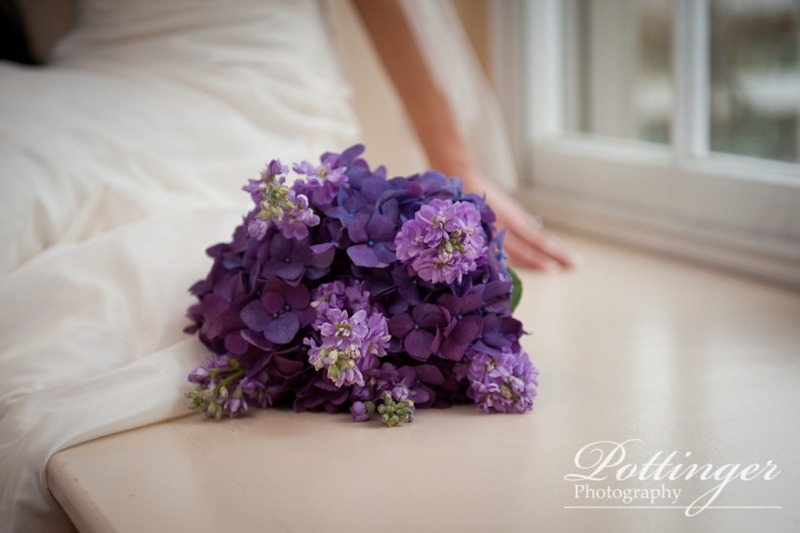 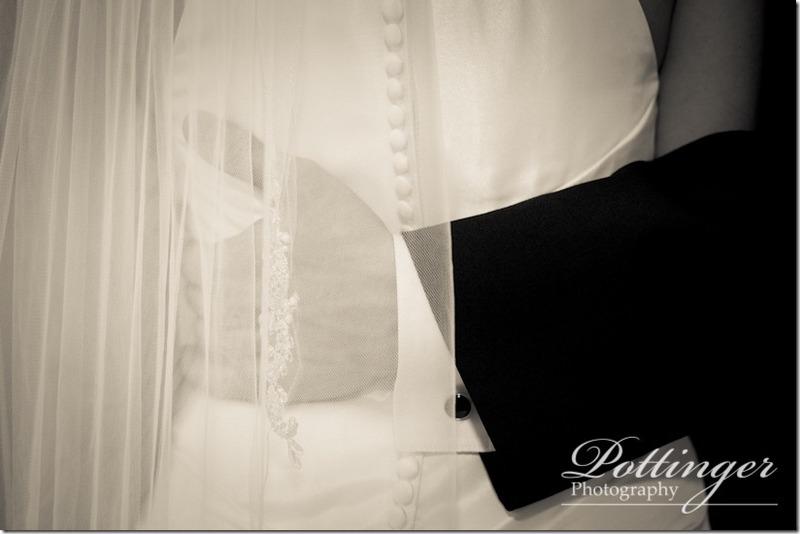 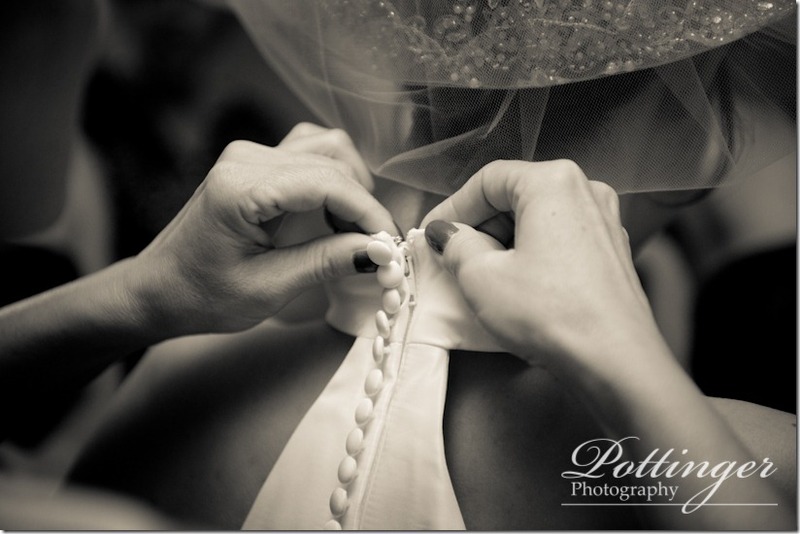 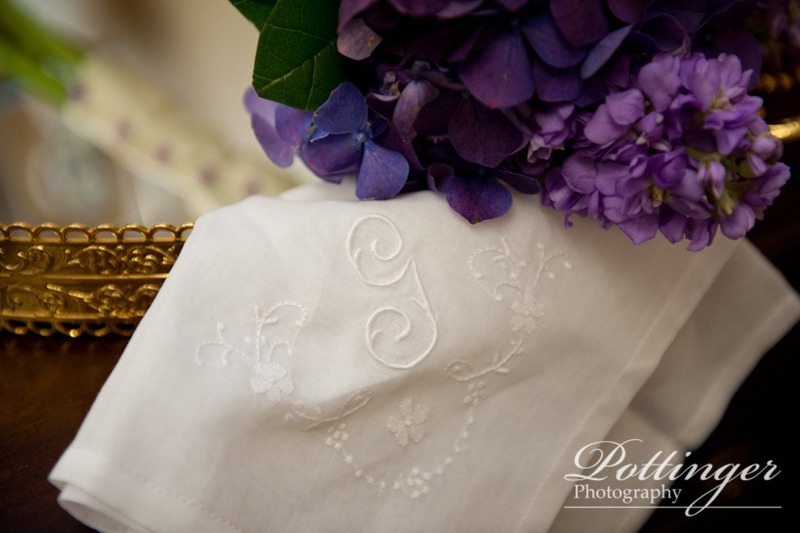 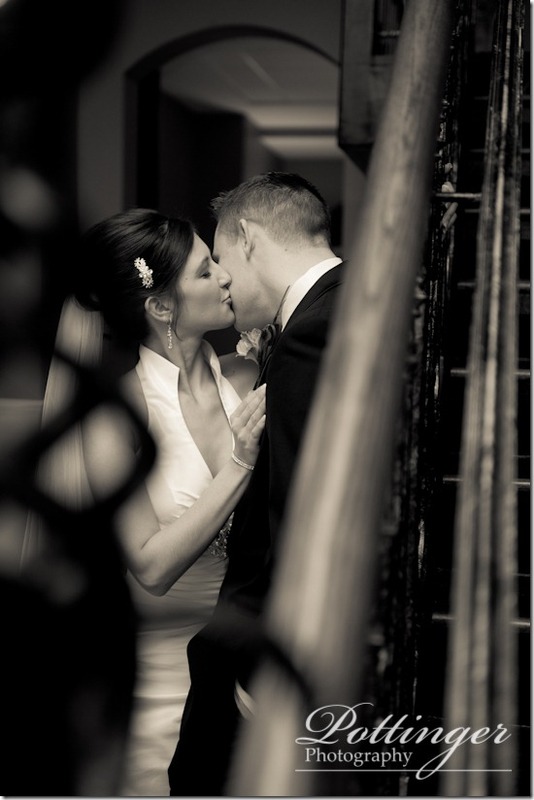 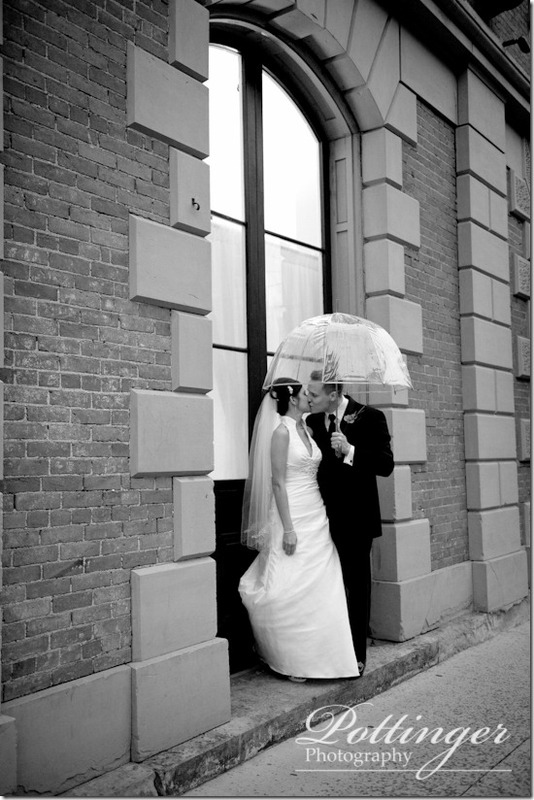 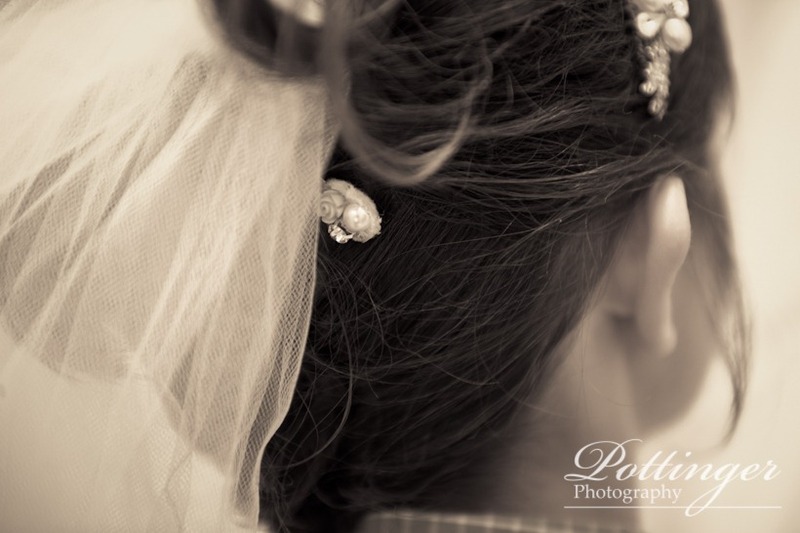 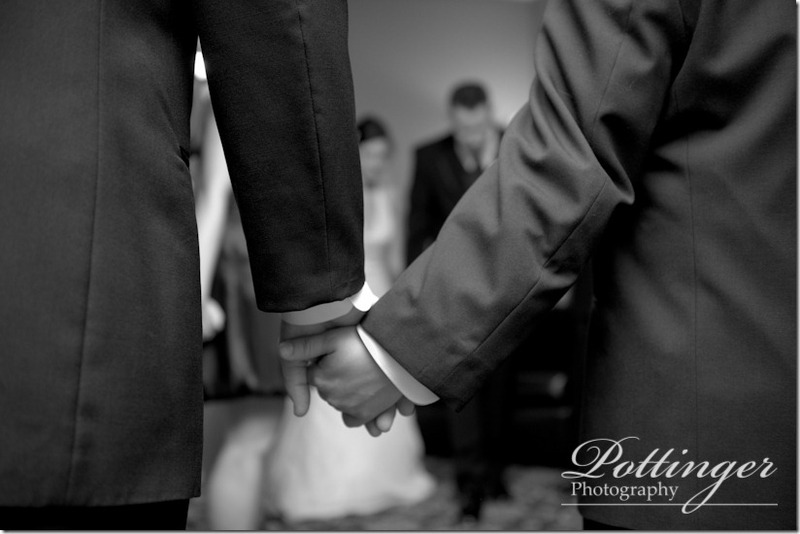 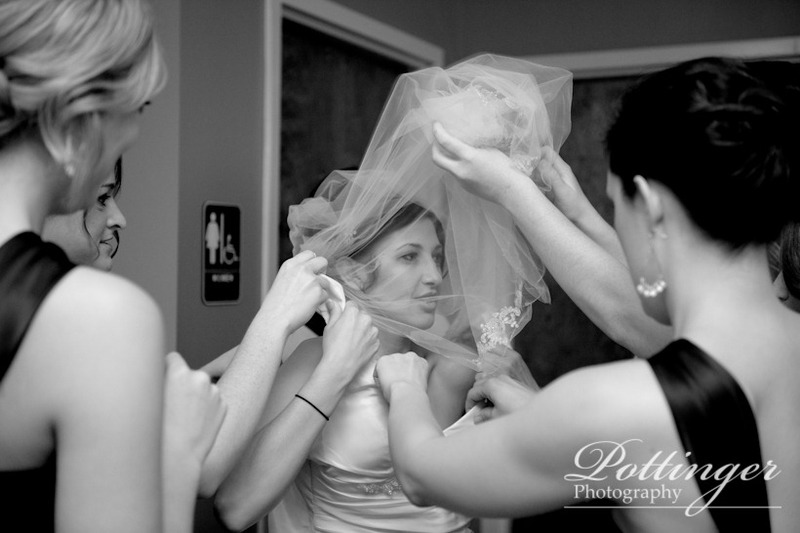 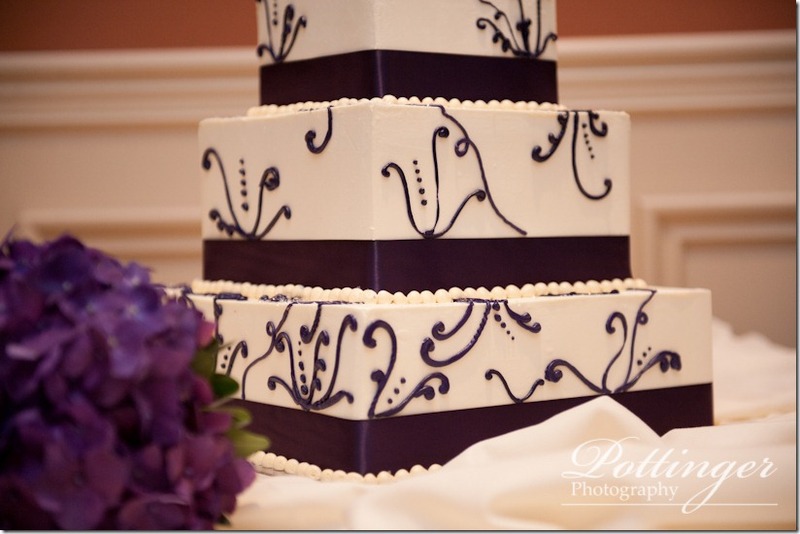 Posted on Monday, March 28th, 2011, by Brenda Pottinger under Weddings. 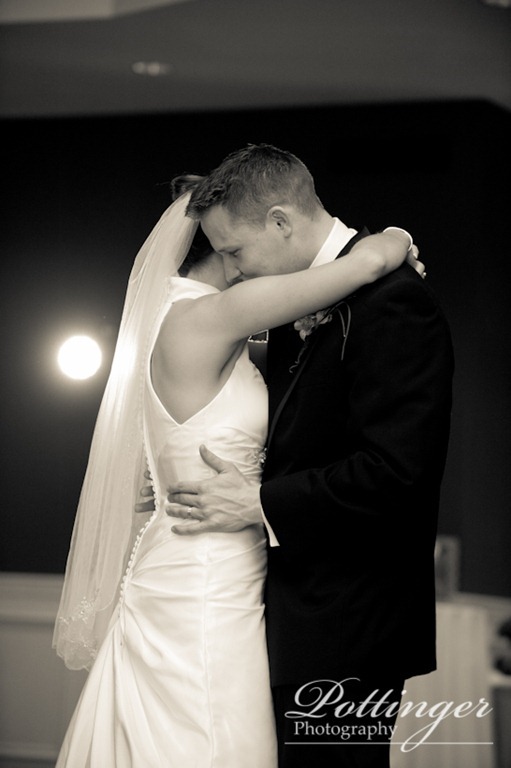 Nikki and Jared’s wedding day was filled with love and support from their family and friends. 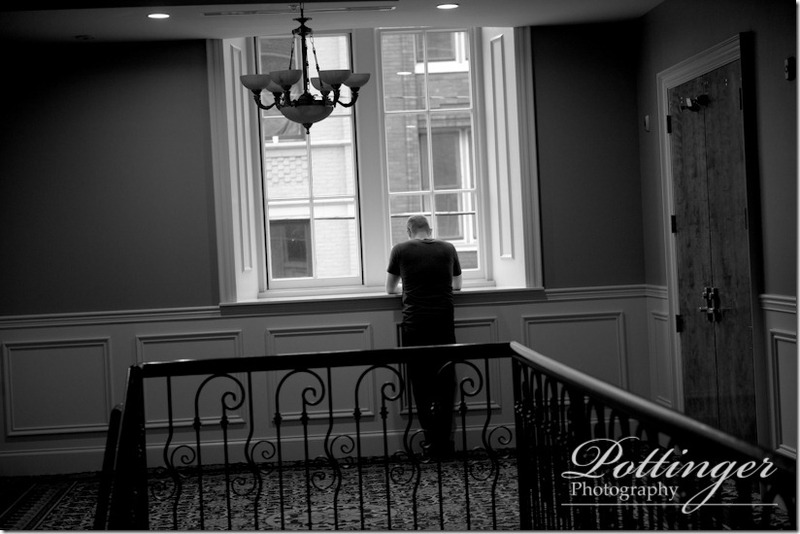 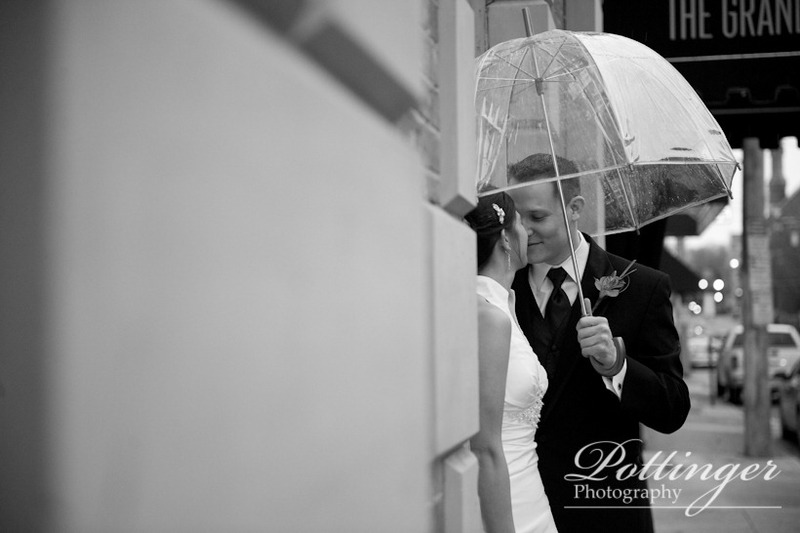 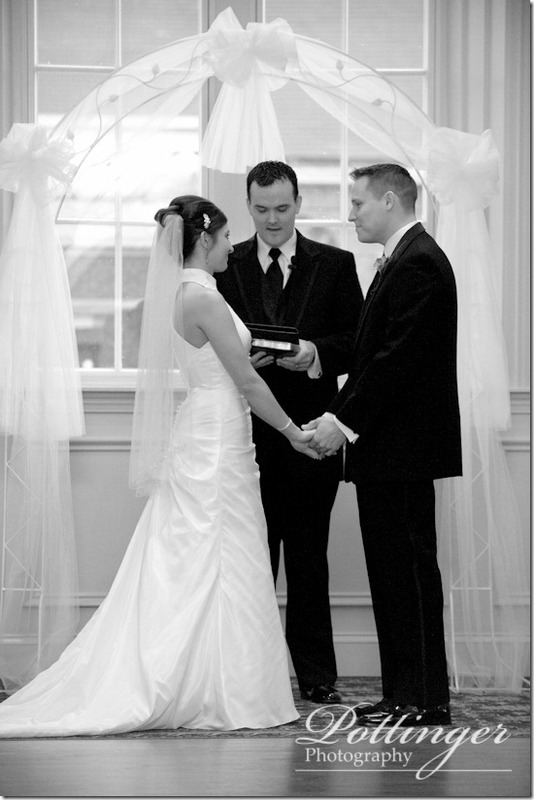 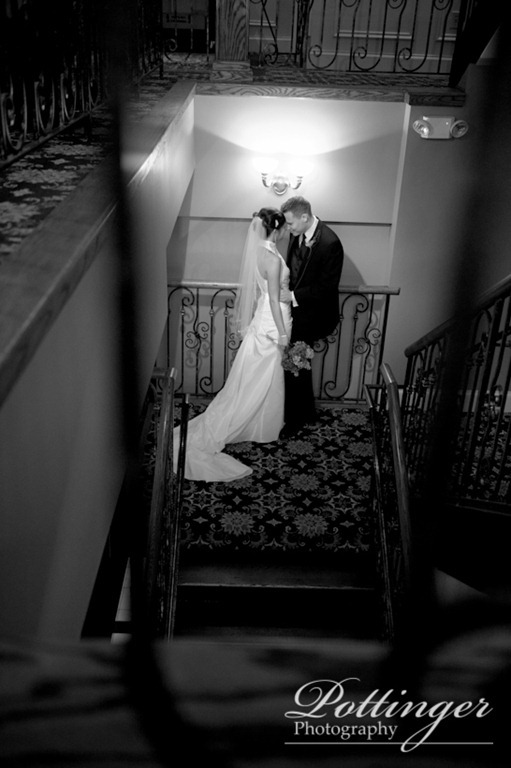 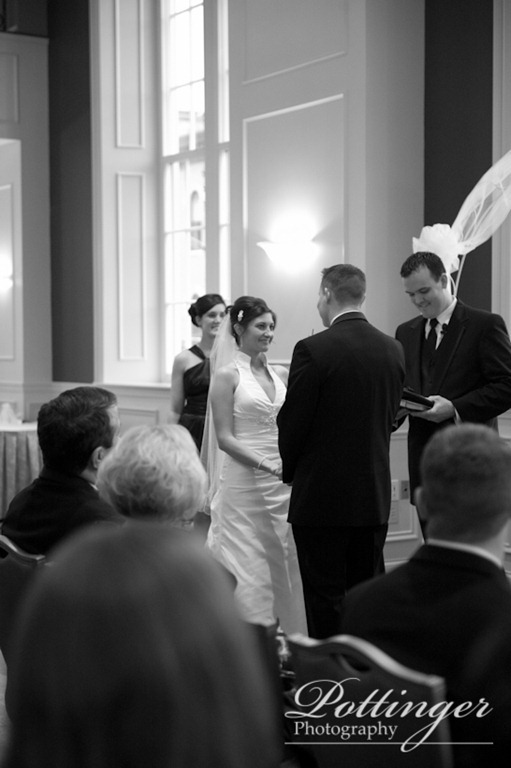 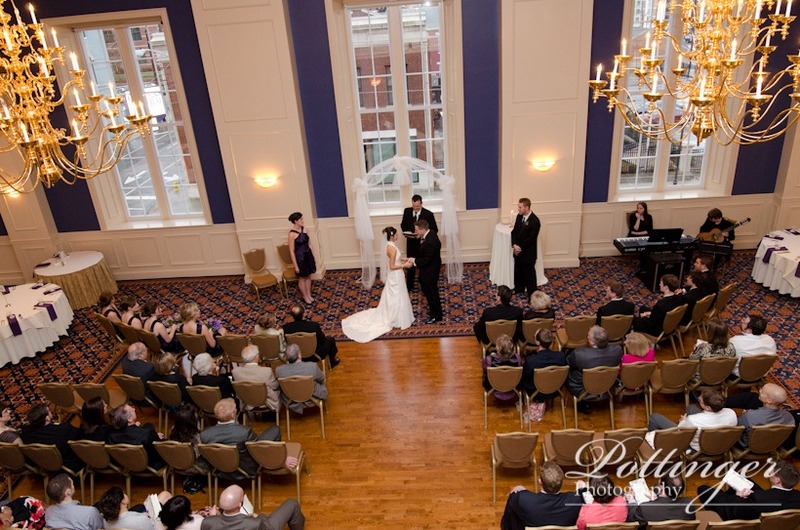 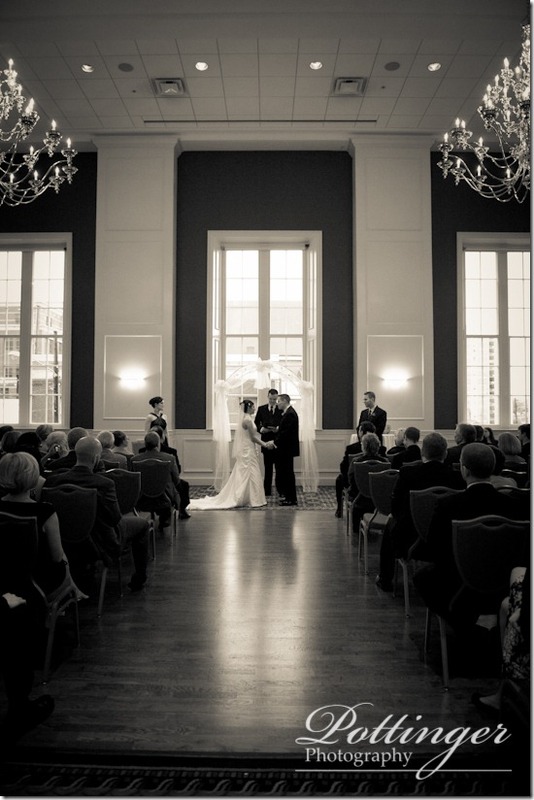 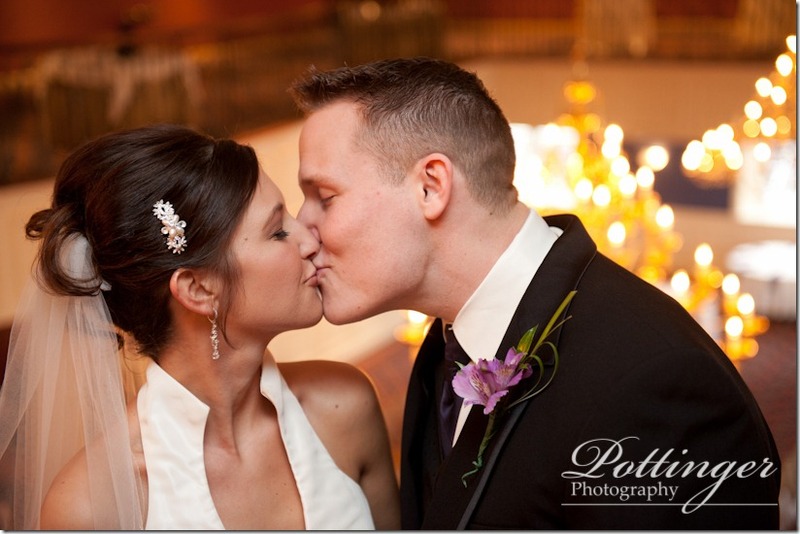 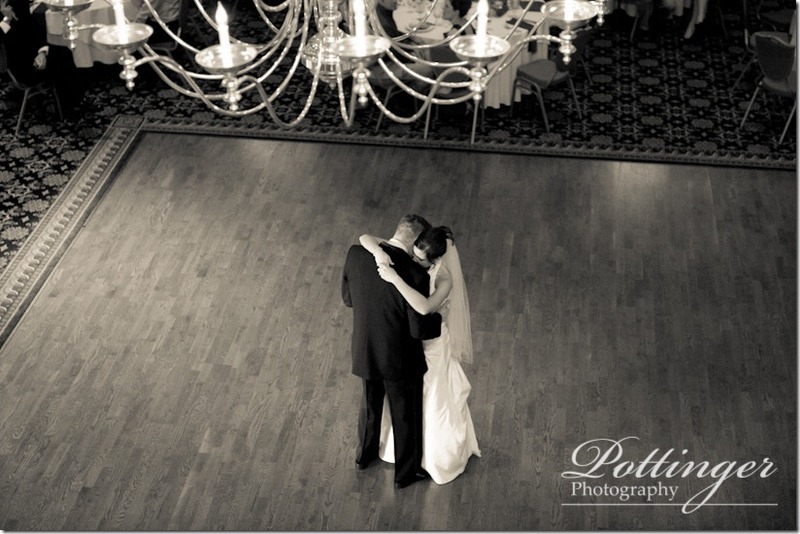 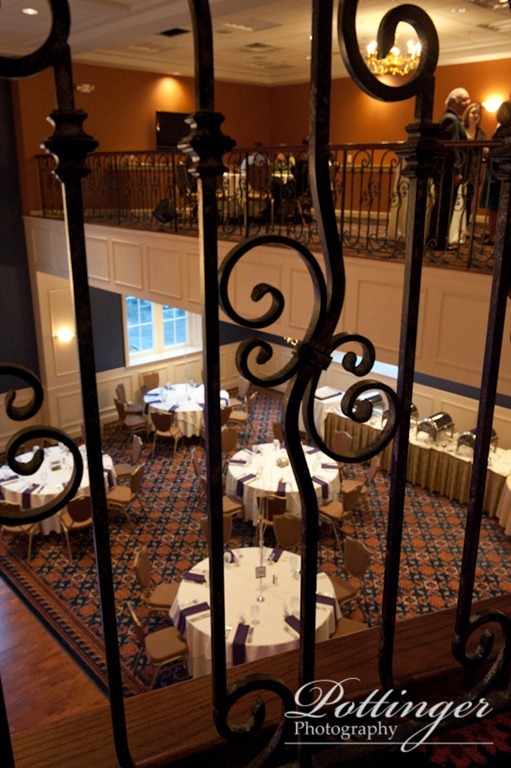 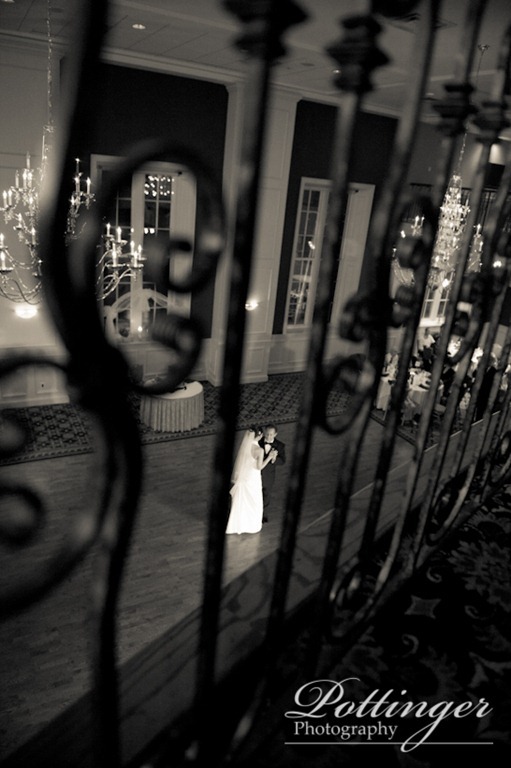 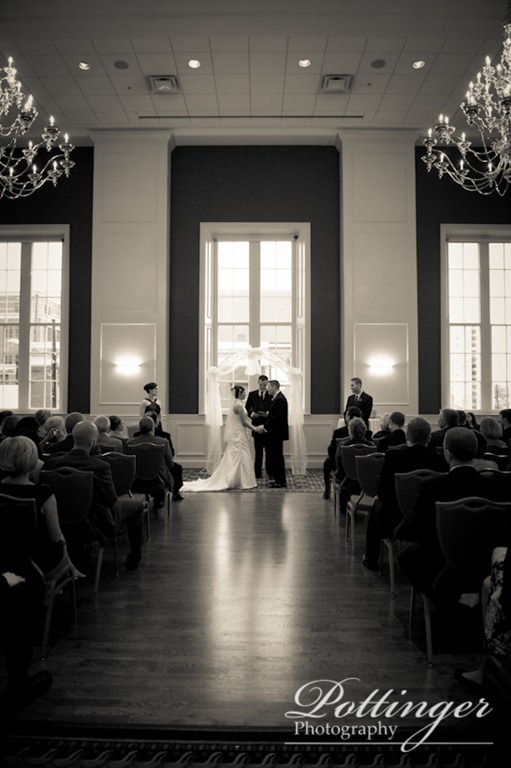 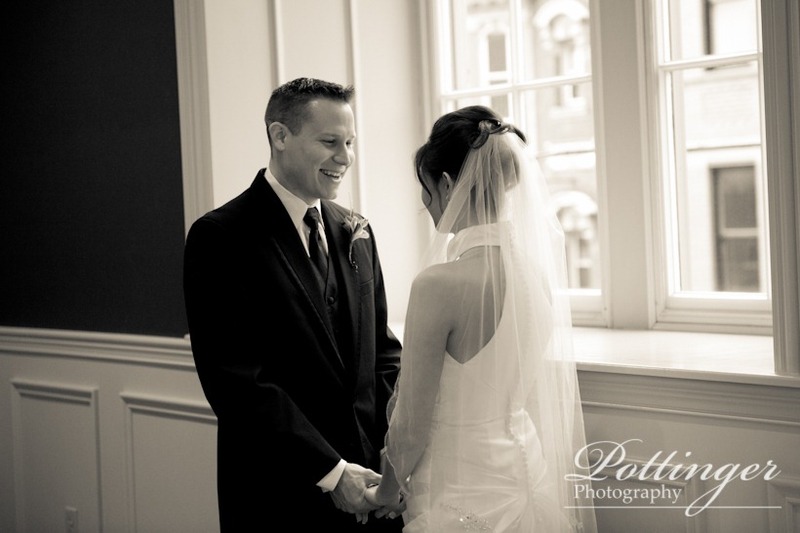 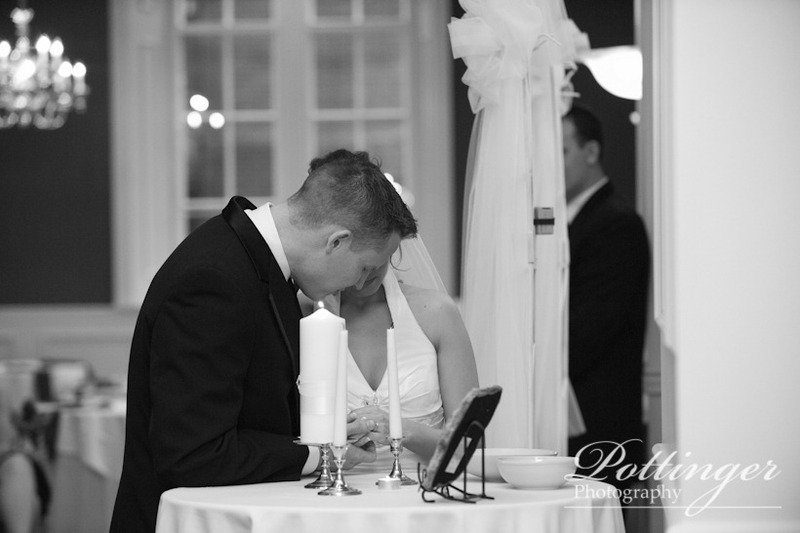 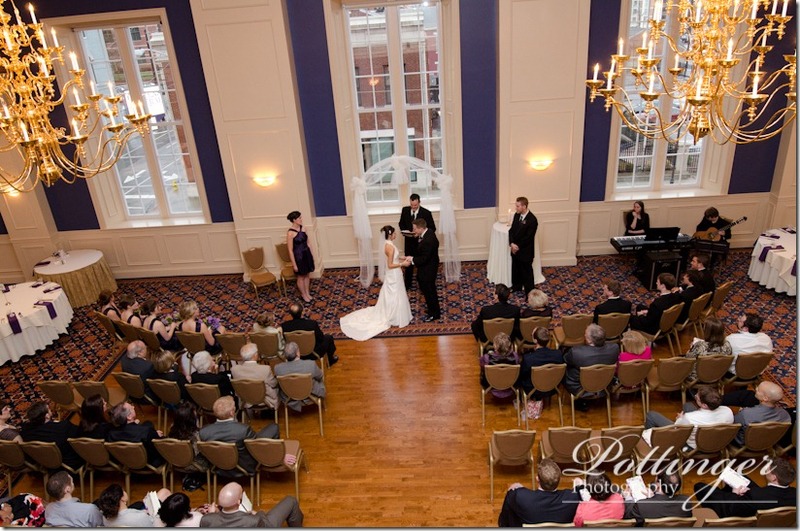 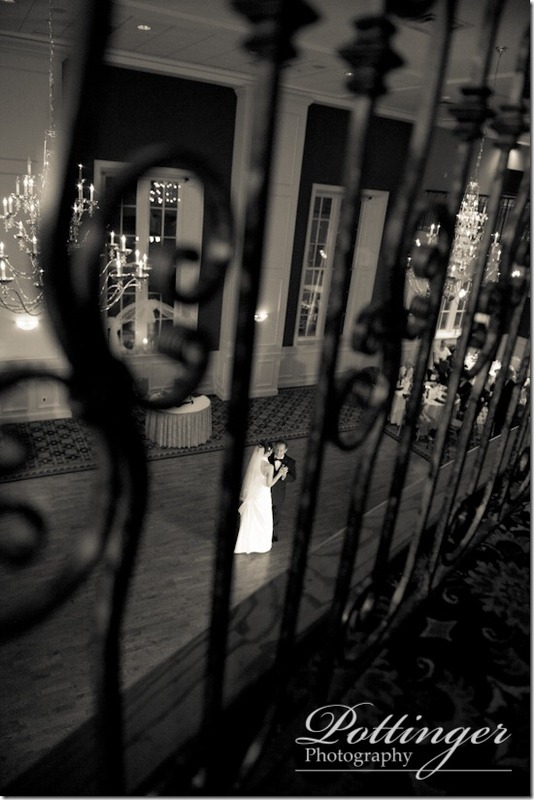 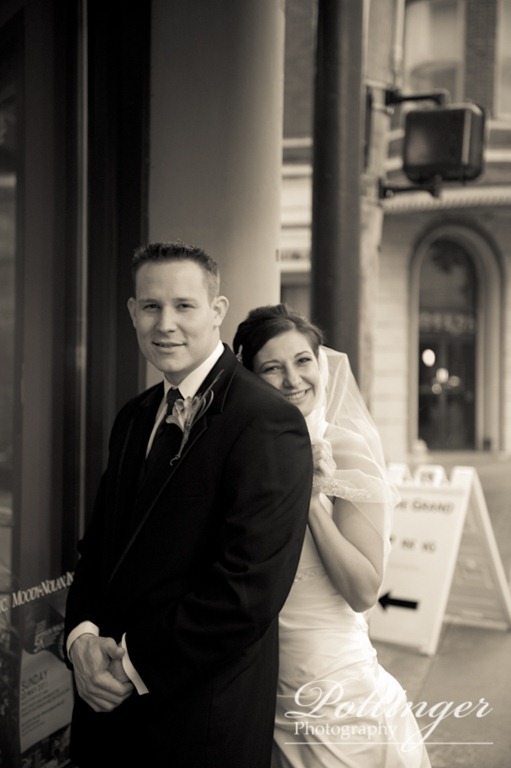 Their ceremony and reception were both at The Grand in Covington, Kentucky. It was touching to see the bridal party praying with the couple before the ceremony. During the ceremony the funniest thing happened! When Michael, their officiant, was talking to Jared about how he is to love his wife, just as Christ loved the church (Ephesians 5), a huge clap of thunder rattled the building! 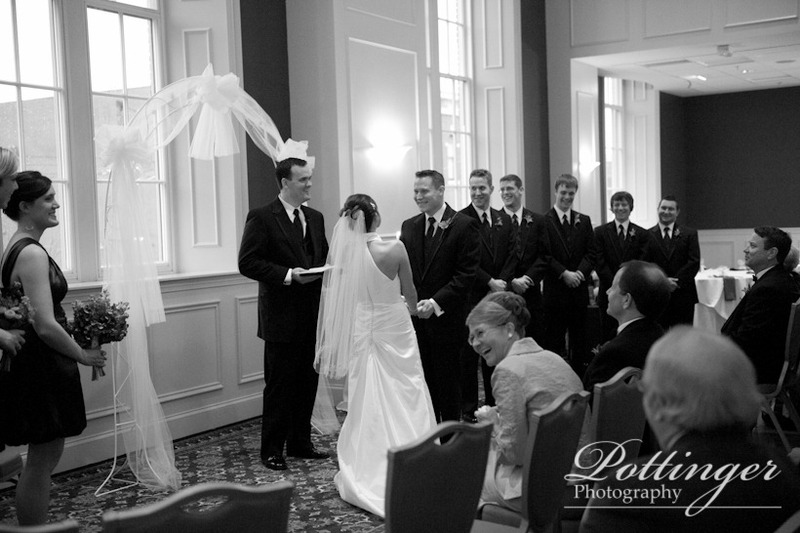 Everyone cracked up laughing and Jared said he was listening! All day it had been raining off and on but that was the only thunder we heard all day! 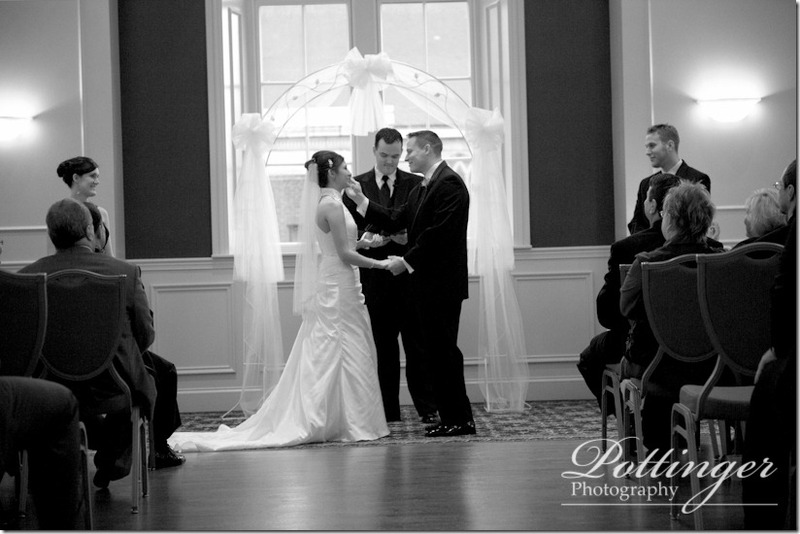 What an amazing and beautiful ceremony! 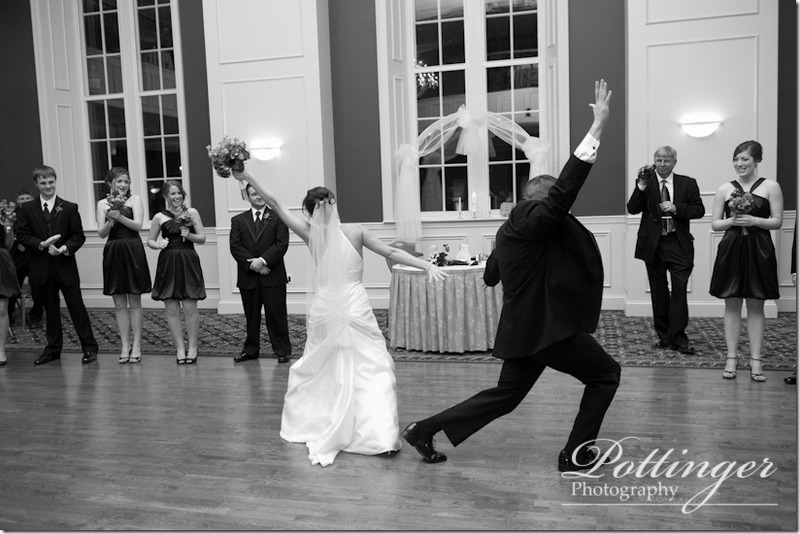 The reception was a lot of fun with great dancing. 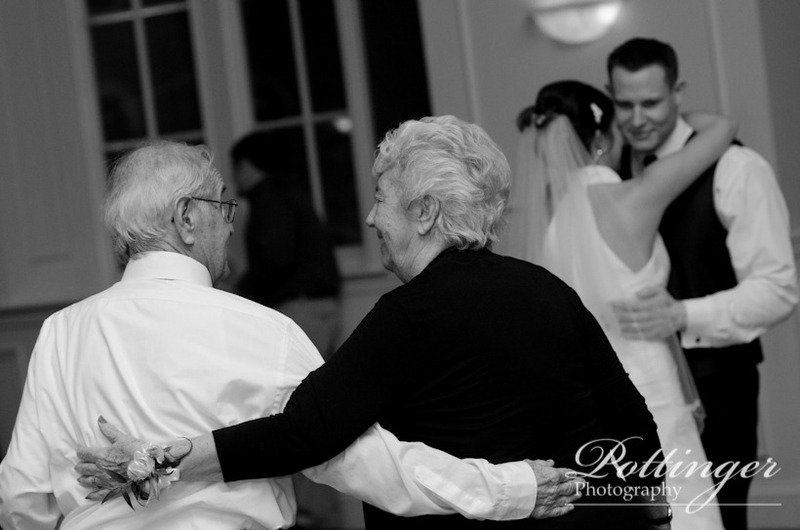 Nikki’s grandparents were the last couple dancing for the generation dance. 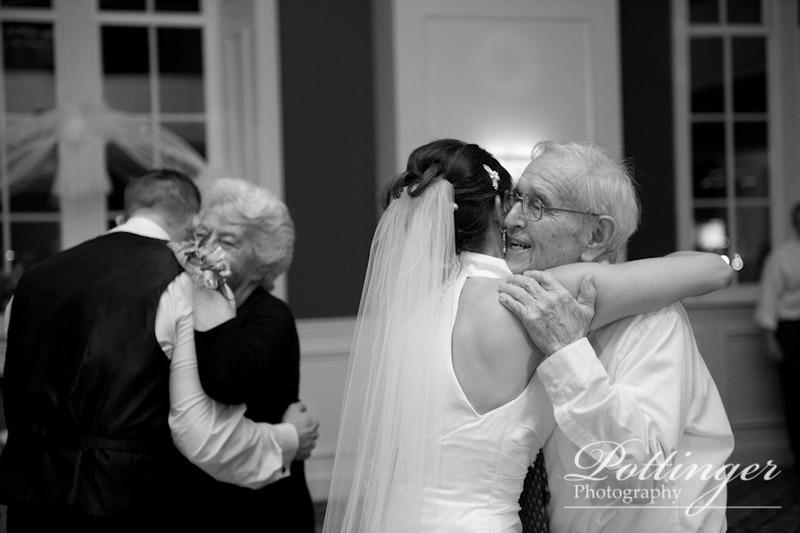 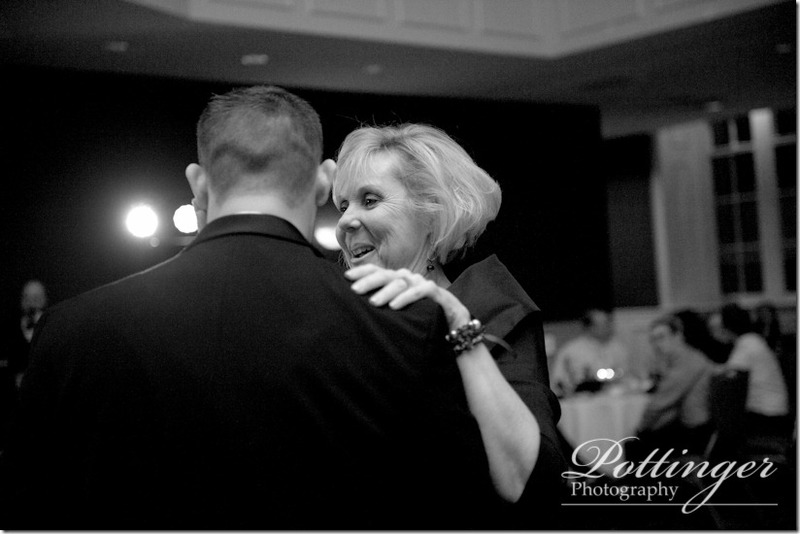 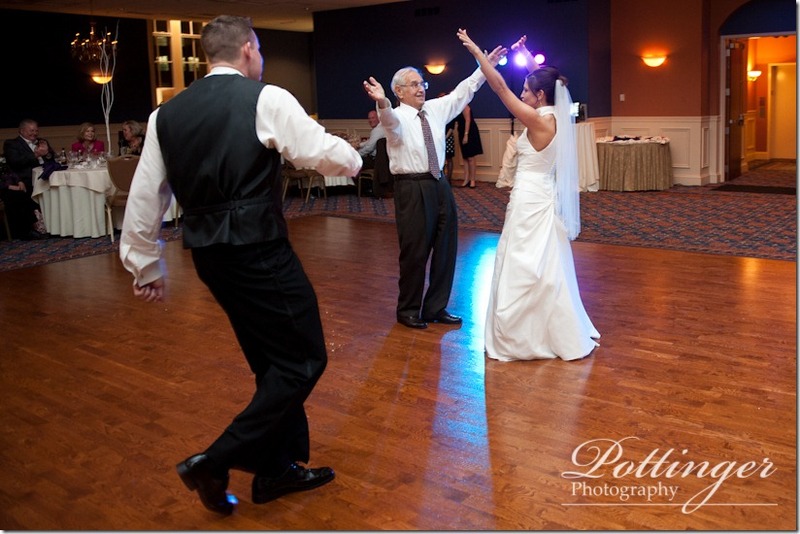 But the best part – Nikki’s grandpa stayed on the dance floor to get the party started! Nikki and Jared – we hope you had a wonderful honeymoon and we hope you love this little sneak peek of just a few of our favorites! Also a big special thank you to their wonderful vendors who made this a truly beautiful day!